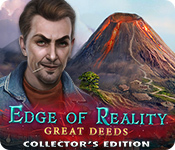 Edge of Reality: Great Deeds Collector's Edition is rated 4.1 out of 5 by 40. Rated 5 out of 5 by goatlady92 from An Animal Lover's Delight! I thought this was a very nice game with a redeeming, if far-fetched, storyline. It was a relief not to play the typical demon of the week. 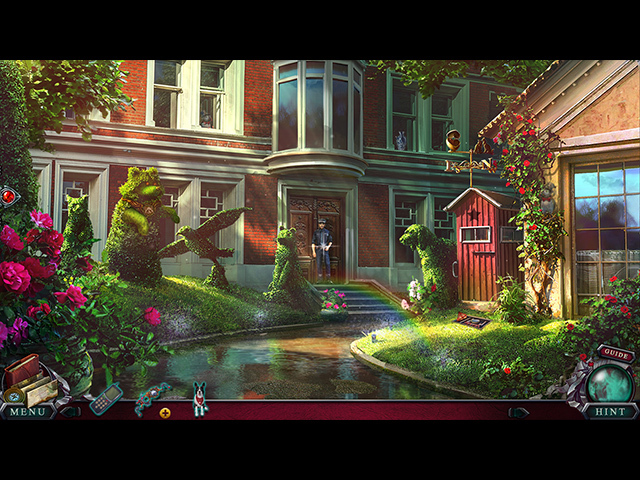 It had lovely graphics, HOPs and mini-games related to the story and animals galore. Truly, a delight. 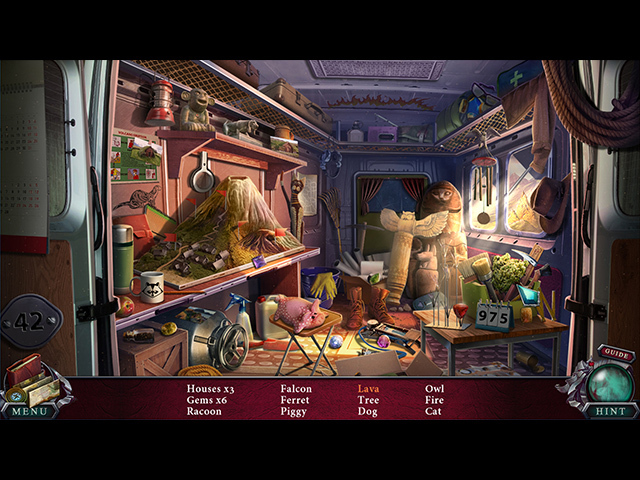 The gameplay was on the easy side (no complaints here) and the collectibles (Puffins and morphing objects - two of each per scene) were mostly easy to spot. I really enjoyed the game and look forward to more offerings from 4 Friends Games. Rated 5 out of 5 by anniepandie from A Fun Chillin' Weekend Game What a fun game to play on a Sunday morning; just perfect for whiling away time with a great premise...saving animals! And I, like everyone else has said, love critters. 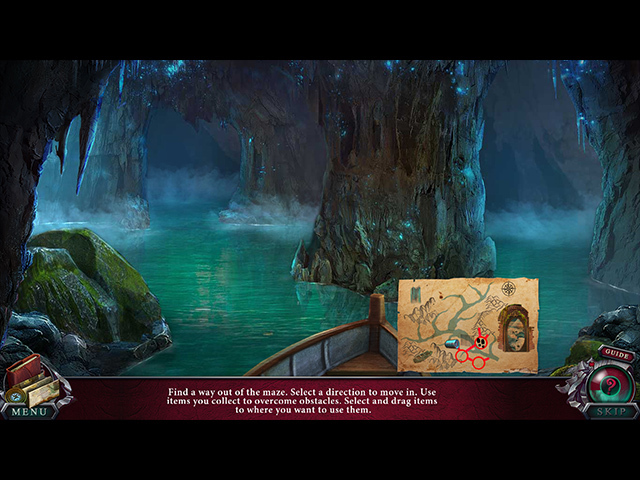 Plot, while being farfetched, is certainly different...and it is a game after all! Anyhow, loved the game, am planning on purchasing, and can't wait to see what happens in the end! I do love 4 Friends Games, and this is a wonderful game for beginner's, animal lover's, children and all those in-between. Love it! Rated 5 out of 5 by Lorijb from Fun & relaxing I decided to download all the games in this series and I am half way through the first one, if you love dogs and a relaxing fantasy game you'll love these games. Rated 5 out of 5 by kandikc from A Game for all Animal Lovers I really enjoyed this game! I like to play 'casual' mode' and I was so involved in the game that I lost track of time. The puzzles were not hard and I like that. The graphics were clear and bright, so 'Yay' no eye strain. I've enjoyed the other Edge of Reality games, but this one just became my favorite. Rated 5 out of 5 by boxer306 from why the bad reviews? I loved this game. The story line is a little far fetched but so are the sc-fi games. Graphics were beautiful and bright. I happen to like animals and prefer them over crazed murdering madmen in some games. I don't really care about collectibles and morphs, but I bought the CE anyway because I liked the game so much. I've enjoyed this series, and I think this is one of the better ones. Rated 5 out of 5 by 1955raven from I GIVE GREAT DEEDS 5 PAWS! THIS AN EXCELLENT ADDITION TO THE EDGE OF REAITY GAMES! I TOO AM AN ANIMAL LOVER , THE STORY LINE GOOD, AS IS THE ARTWORK, HIDDEN SCENE ETC. PUZZLES ARE FUN! FUN! Rated 5 out of 5 by mary5176 from The artistry is wonderful Graphics and sound is great and quite realistic. It takes time to go through levels, but it is interchanged with all different activities, making sure no boredom sets in. I would definitely recommend this game to anyone who enjoys and great story line that is unrepetitive. Rated 5 out of 5 by denniann2 from good game you have been called to this town because there are 2 missing women and both were nominees for an award. one was your friend. there is an ancient legend that when the volcano starts to erupts it needs human sacrifices to stop. i played on custom. good hint system.